National Reciprocity Bill: Could States Still Ban Carry on Private Property? 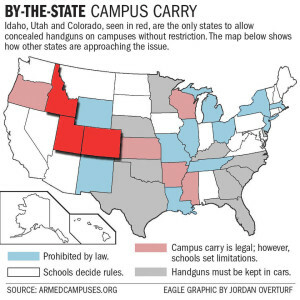 [S]tate and local laws would still dictate where law-abiding citizens can and can’t carry a concealed firearm. That means if these mayors want to control where people can carry in their municipalities, then they’re free to do that. Does this mean the bill would allow (for instance) New York City to simply create a bunch of no-go zones that would effectively bar concealed carry by the citizenry? Or is Rep. Hudson just “practicing politics” in the sense of the waitress in that old Billy Joel video? H.R. 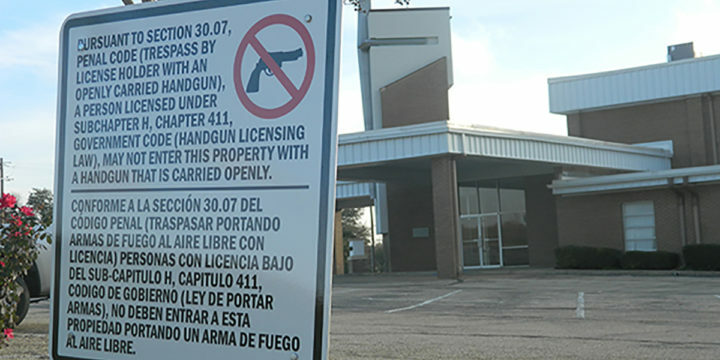 38 explicitly allows state and local laws enforcing a party’s decision to bar firearms from his or her own private property (like those famous Texas 30.06 signs). It also explicitly permits state and local laws that ban firearms from state or local property. It’s silent on one question, though: some states (Nebraska, for instance,) bar concealed carry in privately-owned financial institutions, houses of worship, taverns, and the like. What does the silence mean? Ultimately, that’s something the courts would have to sort out, but it’s a potential hook for a lawsuit. There’s an old statutory interpretation saw in the legal trade that the expression of one thing implies the exclusion of others — or expresio unius est exclusio alterius. 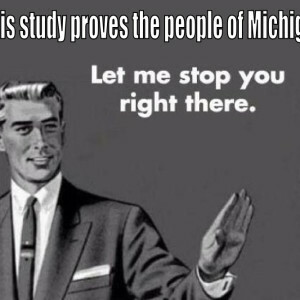 In this case, H.R. 38 allows local laws that bar concealed firearms from public property. It also allows local laws that enforce an individual’s decision to ban firearms from their private property. Arguably, both of those examples are of property owners (whether public or private) choosing what they’re going to allow on their own property. I could see a court going along with the notion that a law dictating to private property owners what they can or can’t do on their property (as opposed to simply enforcing the property owners’ will) would be distinct, and therefore liable to be ‘superseded’ here. A slam dunk? Not on your life, especially in a federal court that sits in New York City. Still, it’s within the realm of the ‘reasonably possible’. These petty complaints from Bloomberg and his collaborators are a waste of breath, though. First of all, I can’t imagine that there are a ton of places that would be impacted by the scenario painted above. 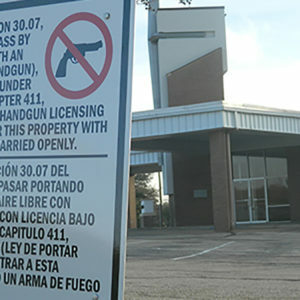 Any bank managers, pastors, or bar owners who fear their own patrons could simply post a sign banning concealed carry on their property, which would have the same amount of practical power to prevent criminals from bringing their weapons onto the premises. 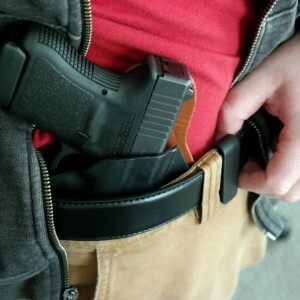 Second, even if Rep. Hudson’s bill is passed as written, there’s a simple way that places such as California, New York, and New Jersey could avoid its application entirely: ban concealed carry. For everyone. 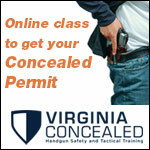 (2) does not prohibit the carrying of concealed firearms by residents of the State for lawful purposes. 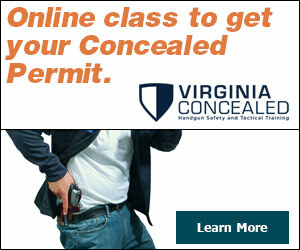 If concealed carry by law-abiding citizens is really such a terrifying thing, then just ban it altogether. No muss, no fuss. Heck, at the rate the Supreme Court is going, they probably wouldn’t even grant cert. to any legal challenges to the bans anyway. What’s that, you say? 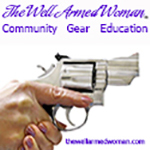 Shannon Watts is concerned about going out in public without her armed guards? Oh, that’s easy. There’s one method of firearms carry that the bill doesn’t touch at all. 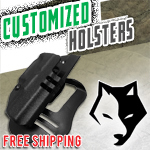 A state could allow all the open carry it wants without triggering H.R. 38. Imagine the photo ops that might create featuring Mike and Shannon. 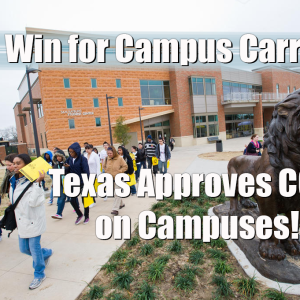 Campus Carry For The Big Win In Texas!